"It all seemed to be about removing minor barriers in whose absence recorded urgency, intensity and directness communicated themselves more strongly. I'd call this effect an energizer, rejuvenator and revealer of deeper space…. this is a machine of quiet but true reference calibre!" - Srajan Ebaen, Editor, 6 Moons. Blue Moon Award for the STP-SE with Stage 2 modifications. For many years, the STP-SE has been our best selling preamp. Despite the extraordinary design of the stock unit, we have found yet another reason to fall in love again. We've always wondered how we would top this preamp and the answer is finally here with the Stage 1 and 2 upgrades. Introducing the factory direct upgrade path for the best preamp on the market! If you thought the STP was transparent and open sounding before, wait until you experience what the Stage 2 has to offer. As the basis for the 'must haves', the Stage 1 upgrades will offer the most critical changes to be appreciated in any system. 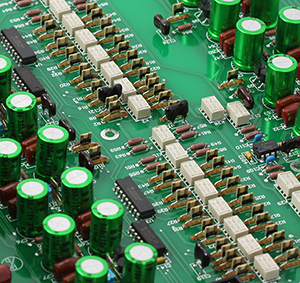 Like any audio product, it all begins with the power supply. To further improve the preamps triple ripple reduction circuit, Schottkey diodes, and we add premium decoupling inductors for an increased signal to noise ratio in addition to enhancing channel separation. So now we have the foundation for a great start to the power supply, but we can't stop there! Now we have a preamp with the perfect power supply and it is time to focus on the signal path. This is where we are finally able to use our custom made naked Z-Foil resistors in 24 critical locations. The stage 2 upgrade takes a larger leap into another level of perfection. Already benefiting from the advancements listed in the stage 1 upgrade, we have decided to expand the perfection. First we update the power supply even further with the fuse. Opting for the smoothest overall character, we employ the Furutech Rhodium plated fuse to control the necessary current feeding the upgraded Schottkey diodes. 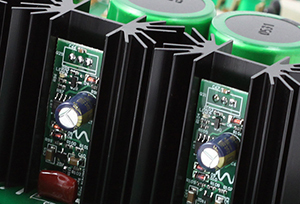 It's time to include our W4S discrete regulators which you can also find inside our DAC-2 DSDse and DAC-2v2SE. Proving to be more than 100 times quieter than the stock regulators, the upgraded circuit will help lower the background noise even further...and yes, it is possible! Next our attention is directed to the resistor ladder volume control which is a feature that sets this treasure apart from the competition. Determined to optimize transparency and space, we replace 48 of the most frequently used resistors with our custom Z-Foil’s where the accuracy becomes increasingly evident. Naturally, we can’t resist from proceeding with the exchange of the 16 high frequency signal filtering caps to further enhance the tube-like nature of this distinguished pre-amp. With refinements down to the last detail, we install a Furutech rhodium plated IEC inlet to compliment the upgraded fuse and maximizes the connection to your upgraded power cable. Now that the internal circuits are for the better input to output, we save the final touch for improving the visual experience. A green OLED display aids legibility with low light or long distance situations to help keep you in tune with the current settings of the upgraded preamp! The STP-SE is an outstanding product that has an incredible foundation and great value in the stock configuration, this upgrade path elevates the STP to a new level. For those interested in hearing what strategic upgrades we have developed for this fantastic product, this is the proper course for you! After the unit is upgraded and fully tested it will be returned to you at the address provided on the order form. We will email a completed invoice and tracking number so you can follow the progress of your upgraded STP-SE!